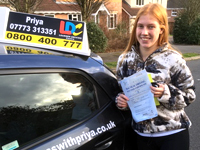 Priya's instructions were thorough and very clear which enabled me to pass my test first time. 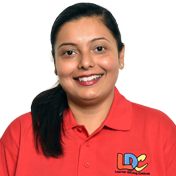 Priya was very calm and clear with each stage of teaching me and this helped me to know which areas I needed to practice. I found that the LDC workbook and resources given were really helpful and valuable. I'm a driving instructor in Chandlers Ford, North Baddesley, Eastleigh, Otterbourne and surrounding areas.